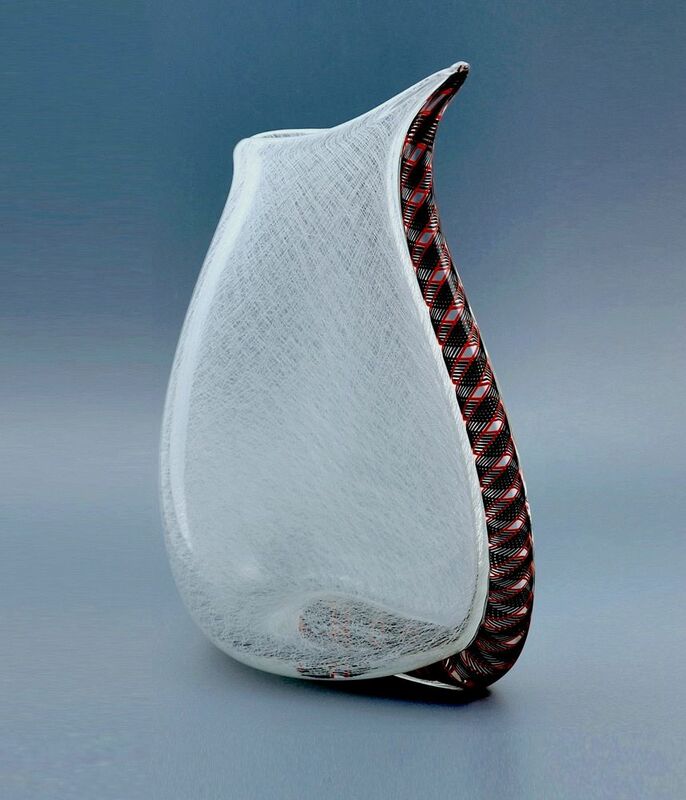 This wonderful wedge vase was made by Mike Hunter for Twists Glass in 2013. The stylised tear drop shaped vase is made of white merletto cane and has a sweeping pointed narrow opening. there is a thick red & black zanfirico cane fused to one side of the vase. It is scratch signed "M Hunter Twists 13".